The timeless beauty of the Deluxe Cumberland log cabin made by the Amish Cabin Company is truly unique. It is symmetrically crafted with a center porch and two reverse gables. The central door is made of solid pine fashioned with insulated glass. It has two lofts, each one designed for comfort and relaxation. The interior design provides a feeling of luxury and safety while the exterior look offers a welcoming atmosphere. The simple construction of milled logs is crafted with utmost precision designed for optimum comfort and aesthetic value. This transferrable log cabin is built with a rustic ambiance designed with modern features complete with the necessary rooms such as the kitchen, bedroom, bathroom, loft, and living room. The ten feet kitchen area makes it naturally airy and cozy. It is packed with both upper and lower cabinets, sink, and other spaces for kitchen appliances. The bathroom includes toilet, vanity, sink, mirror, and shower. The bedroom has stunning and flexible interior design. With the large windows that allow a view of the outside scenic beauty to drive away stress. The loft space designed with large loft windows, railing, and ladder gives a fresh feeling of living in a portable cabin. 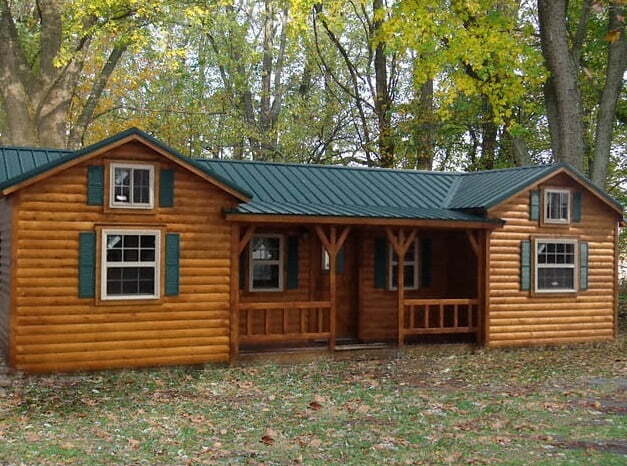 The Deluxe cabin model is a ready-to-live log home. It has been furnished with smoke alarms, fixtures, wiring, break box, and ceiling fans. It is also insulated with a hybrid wall system that utilizes reflective foam insulation. The grove and tongue pine interior walls are also coated with at least one coat of polyurethane for wall protection against darkening over time. The insulated metal roof is sturdy enough to stand against different seasons. It is good to go and ready to be installed wherever you like. The Deluxe cabin is a home that you can take anywhere and anytime. 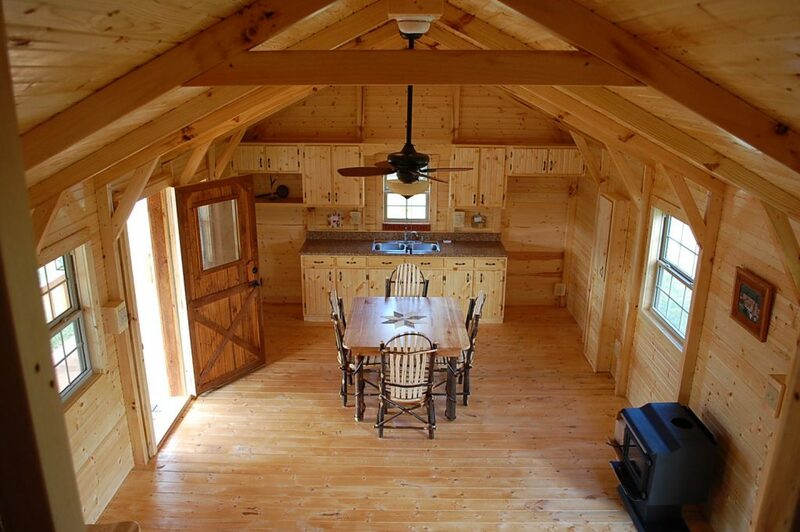 The exterior beauty of log cabins possesses aesthetic value and sturdy foundation. The airy kitchen allows natural breeze to come in for complete comfort. 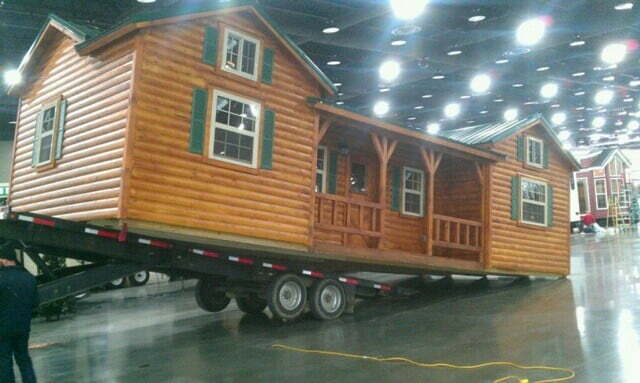 The log cabins can be transferred easily and installed readily anywhere. 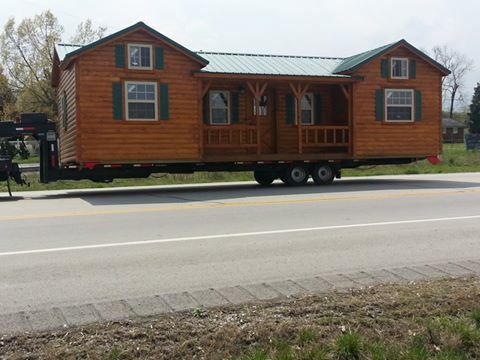 A home on its way!